Definition at line 472 of file compat.h. Definition at line 474 of file compat.h. Referenced by AVrfInitializeVerifier(), AvrfpResolveThunks(), ConSrvAllocateConsole(), ContinueDebugEvent(), CreatePipe(), CreateProcessInternalW(), CreateRemoteThread(), CSR_API(), CsrApiRequestThread(), CsrCreateProcess(), CsrCreateRemoteThread(), CsrLocateThreadByClientId(), CsrShutdownProcesses(), ElfChangeNotify(), extfmt_default_dbg_vlog(), GetCurrentProcessId(), GetProcessIdOfThread(), GuiApplyUserSettings(), GuiConsoleShowConsoleProperties(), LdrLoadDll(), LdrpInitializeProcess(), LpcpCopyRequestData(), LpcpFindDataInfoMessage(), LpcpFreeDataInfoMessage(), LpcpMoveMessage(), LsapCheckLogonProcess(), Main(), NotifyUserProcessForShutdown(), NtOpenProcess(), NtOpenThread(), OpenProcess(), OpenThread(), PostMessageA(), PostMessageW(), PrintProcess(), ProcessIdToHandle(), ProcessIdToSessionId(), PsGetCurrentThreadWin32ThreadAndEnterCriticalRegion(), PsGetThreadProcessId(), PsLookupProcessThreadByCid(), PspCreateThread(), RtlApplicationVerifierStop(), RtlInitializeCriticalSectionAndSpinCount(), RtlpDphProcessStartupInitialization(), RtlpFreeDebugInfo(), RtlpPageHeapCreate(), RtlpPageHeapDestroy(), RtlQueryProcessDebugInformation(), SetConWndConsoleLeaderCID(), SmpExecuteInitialCommand(), SmpLoadSubSystem(), SmpSbCreateSession(), TestWindowProcess(), UnhandledExceptionFilter(), UserExitReactOS(), and winefmt_default_dbg_vlog(). Definition at line 475 of file compat.h. 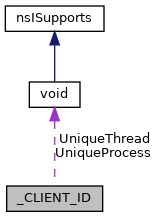 Referenced by AllocW32Thread(), BasepNotifyCsrOfThread(), ContinueDebugEvent(), CreateProcessInternalW(), CreateRemoteThread(), CSR_API(), CsrApiRequestThread(), CsrLocateThreadByClientId(), CsrLocateThreadInProcess(), CsrLockThreadByClientId(), ElfChangeNotify(), ExitThread(), extfmt_default_dbg_vlog(), find_thread(), GetCurrentThreadId(), GetThreadId(), GspQuery(), GuiConsoleInputThread(), GuiInit(), handle_gdb_query(), InitThreadCallback(), IntNotifyWinEvent(), KdbpAttachToProcess(), KdbpCmdProc(), KdbpCmdThread(), LdrLoadDll(), LpcpCopyRequestData(), LpcpFindDataInfoMessage(), LpcpFreeDataInfoMessage(), LpcpMoveMessage(), LsapCheckLogonProcess(), Main(), MiIsBalancerThread(), NtOpenProcess(), NtOpenThread(), NtUserSetWindowsHookAW(), OpenProcess(), OpenThread(), ProcessIdToHandle(), ProcessIdToSessionId(), PsGetThreadId(), PspCreateThread(), PspDeleteThread(), rosfmt_default_dbg_vlog(), RtlAcquireResourceExclusive(), RtlAcquireResourceShared(), RtlGetCriticalSectionRecursionCount(), RtlQueryProcessDebugInformation(), RtlTryEnterCriticalSection(), SetConWndConsoleLeaderCID(), SetWindowsHookA(), SetWindowsHookW(), SmpSbCreateSession(), TerminateThread(), UserExitReactOS(), and winefmt_default_dbg_vlog().